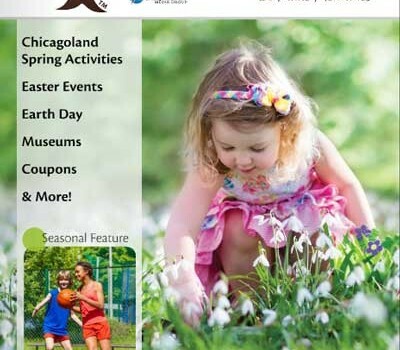 Oaklee's Guide focuses on family and kid-focused events and programs in the Chicago suburbs. Daily Herald Media Group will be publishing the Oaklee's Family Guide on a quarterly basis in both print and online e-editions. Special Leisure Services Foundation presented Daily Herald Media Group with the Media Partner Award for the company's support of Northwest Special Recreation Association's programs for children and adults with disabilities. Daily Herald Media Group was honored at the SLSF holiday luncheon on December 10. DHMG account representative Mark Solak accepted the award on behalf of the company.